OutRun 2006: Coast to Coast Xbox features a choice of 15 fully licensed Ferrari models, featuring the all-new F430 and F430 Spider, as well as the dazzling Superamerica and the stunning 550 Barchetta. Power your way across 15 new American themed environments from the OutRun2 SP arcade experience. Race from coast to glorious coast with a fresh new mission structure, a license mode and online play, with up to 6 players for a thrilling head-to-head journey. The most wanted man in the universe slams into gaming! 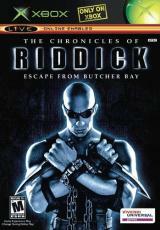 Become Riddick and break out of the galaxyâ€™s most deadly prison in this compelling 1st person action experience â€“ The Chronicles of Riddick: ..